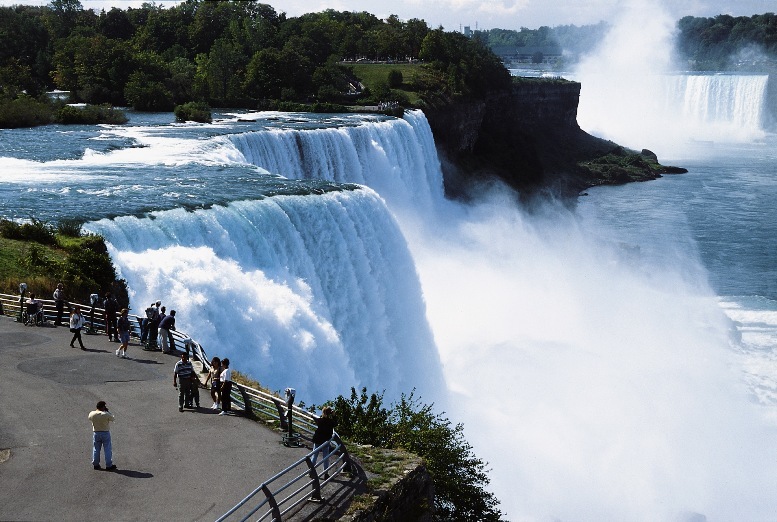 Viewing Niagara for the first time conjures up images of tranquility, might, power and magic. Where did all this water come from? How did it begin? How long has it been flowing and what must it have been like when it was first gazed upon? What tragedies are associated with Niagara? The story of Niagara is some 12,000 years old. Born out of melting glaciers from the last ice age, Niagara has crawled its way approximately 11 km (7.5 mi) upstream to its present location. I first viewed Niagara during the mid 1950s through the eyes of a 16 year old from the brink of Table Rock on the Canadian side of the border. This was the start of a fascination that would last a lifetime. I became a "Niagara watcher." At times, I view the Falls and images of calm and tranquility fill my mind. Yet on other days, Niagara flows with power and might. She can be a moody river...one" not to be messed with." Fifteen people have intentionally messed with the Falls by going over in "barrels" (two people twice) Five didn't live to tell their tale. Here we recount their stories. We recall the" Miracle at Niagara", the story of a seven-year-old boy who accidentally went over Niagara Falls wearing only a life jacket and survived! At the same time, his seventeen-year-old sister was miraculously plucked from the very edge of Niagara before making a dreadful plunge. Since 1846, a little boat called the Maid of the Mist has been plying the waters below the Falls. Now a fleet, these boats carry millions of visitors including royalty, heads of state, movie stars and heroes of all kinds. Chronicled here is the story of the "Maid" and those who have taken this trip of a lifetime. These pages tell the story of Niagara in a concise, abbreviated version. Sketches from the eighteenth century aid in this description and early photographs from the mid-nineteenth century to present day (many never before published) round out this narrative.